These knee caps are based on depictions on late 13th and early 15th century tombs. 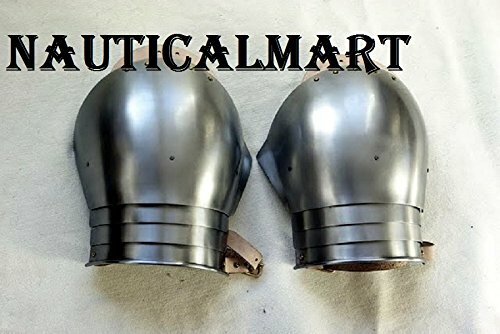 Poleyns were the first pieces of plate armor that were already used at the end of the 13th century. These poleyns are regularly depicted on tombs of medieval aristocrats. They are made of 1,6 mm thick steel and with straps they can be fastened to the knee.